We love what we do, and it shows! 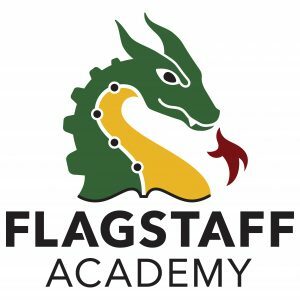 Flagstaff Academy is a charter public school in the St. Vrain Valley District with strong STEM education programs. Our Core Knowledge approach develops the foundations of basic knowledge. Then we build upon the basics each year. Four onsite science labs let students enjoy hands on learning. Physical education is big, too—there is even a climbing wall. Congratulations to our very own 17 inductees into the prestigious National Junior Honor Society! Students from all backgrounds are welcome and respected here. Prepare your student for high school, college, and the world beyond. Call 303.651.7900 to schedule a RSVP tour of Flagstaff Academy in Longmont.